Whether you are a solo-professional, working in partnership or part of a large professional firm, working as a service provider – as an accountant, solicitor, consultant, coach, service contractor, trainer – can be exciting, stimulating and financially rewarding. It can lead to a life of permanent learning, constant involvement in challenging projects and a great feeling of accomplishment. And it can lead to greater financial rewards, a sense of fulfilment in life and the ability to make a difference by contributing on a grander scale. However, if you don’t like networking to find new clients, and have tried advertising and obtained poor results, then this book is for you. If you don’t like selling and want to build a system where you have a steady stream of profitable clients coming to you, then the proven strategies and techniques that you will learn in this book will transform your business. Clients who have followed the teachings in this book have achieved increases in fee income of 274%. This is a proven system and teaches you how to get more profitable clients, increase your fees, and be able to organise your time better. So Why Is Focus So Important? What Do Support Systems Consist Of? This is a relatively simple book with a very straightforward proposition: follow each of the exercises presented in a systematic fashion and you will grow your business and make significantly more profit. 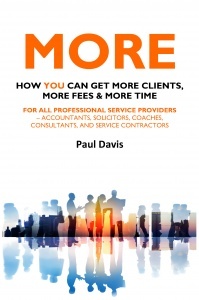 The book is directly aimed at professional practices but many of the principles followed would be applicable in a range of owner-managed firms. 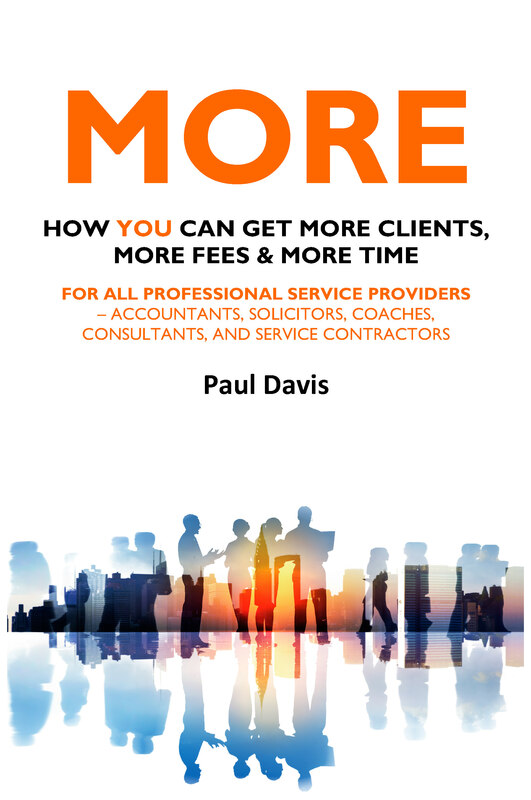 Davis has put together a clever, easily digestible guide here for service providers that should be useful to those wishing to grow their businesses.